Are we wrong about smallpox? History has commonly held smallpox to be an ancient disease. Really ancient. The Centers for Disease, Control and Prevention, for example, says smallpox is “thought to date back to the Egyptian Empire around the 3rd century BCE”. 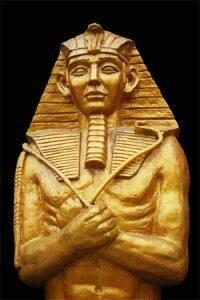 And it’s often said that the pharaoh Ramses – who died in 1145 BC – suffered from smallpox. But the books might be wrong. This week scientists have come out and said the pathogen – an acute contagious disease that was eradicated back in 1980 thanks to worldwide vaccination initiatives – appears to have been around for hundreds, not thousands, of years. They’ve found viral DNA from the mummified remains of a child living in the 17th century that casts significant doubt on historical records. When active, smallpox, nicknamed the ‘speckled monster’ by English physician and scientist Edward Jenner who developed the vaccine for it, was one of the world’s most devastating diseases. The last known natural case was in Somalia in 1977 but during the 20th century alone, it’s thought to have been responsible for between 300 and 500 million deaths. Teams from the McMaster University and the universities of Helsinki, Vilnius and Sydney now say smallpox could be a “modern killer” that went on to become the first human disease eradicated by vaccination. Far from existing in human populations in ancient Egypt, India and China, smallpox is a far more recent phenomenon, the researchers posit – and could in fact be no older than 1580 in terms of evolutionary history. Their findings are published in the journal Current Biology. The scientists got permission from the World Health Organization to extract DNA from the mummified remains of a Lithuanian child thought to have died between 1643 and 1665, when smallpox had reached epidemic levels. After capturing the DNA, the genome was reconstructed (the virus wasn’t live, in case you were wondering), and researchers compared this 17th century strain to those from a modern bank of samples ranging from 1940 up to 1977, when it was banished. “Strikingly, the work shows that the evolution of smallpox virus occurred far more recently than previously thought, with all the available strains of the virus having an ancestor no older than 1580,” the teams said. “Scientists don’t yet fully comprehend where smallpox came from and when it jumped into humans,“ said evolutionary geneticist Hendrik Poinar, senior author of the study and director of McMaster University’s Ancient DNA Centre. Smallpox remains the only human disease eradicated by vaccination. So why was Ramses thought to have died from smallpox? Why is it commonly thought to be so ancient? Well, past descriptions of smallpox have been based on physical signs, such as rashes, which can, of course, be easily confused with other diseases. Today’s sophisticated ways of finding out more about the history of diseases like smallpox is changing what we think we know about it – as well as proving that History, of course, is always open to change.